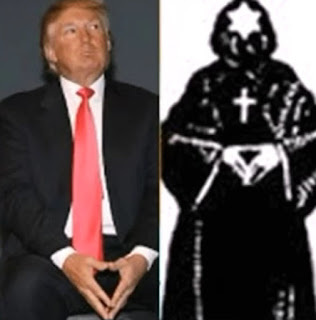 Does this prove Trump is a member of the Illuminati? There's much that can be posted on this subject, but I will just minimize it to the three articles below for reflection on this issue, introducing people to the ridiculousness of anti-Trump conspiracy theories, similar to anti-Obama conspiracy theories of the past. However, it seems like a new conspiracy theory surfaces every day (at least) these days, that it is difficult to keep up with them. These are nothing but the result of the deep hatred people have in their hearts for anyone opposing their ideologies, to the point where they would demonize their opposition. Bannon is no more a fascist than Obama was a Marxist.